The Guayamouc River, Riviere Guayamouc, is a river that runs in Plateu central and eastern Haiti including the city of Hinche. 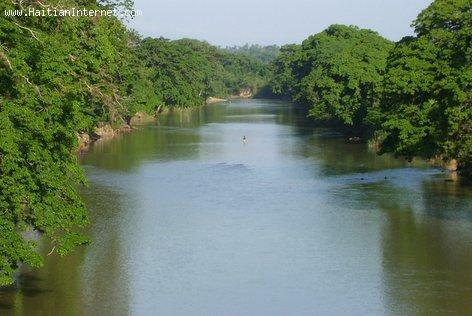 This photo of the Guayamounc river was taken while I was standing on Pond Stenio Vincent in Hinche Haiti. The Guayamouc river rises on the Massif du Nord and flows generally southeast, trough Hinche Haiti, for 113 km into the Artibonite River. Cap-Haitien Haiti - Heavy Rainfall, Flooding - 10 People Dead!